British jewellery designer Yulan established her business in 1986 after gaining her MA from London Guildhall. Yulan supplies several shops and galleries in Britian with her distinctive work. Texture and finish play an important part of Yulan's highly individual jewellery. It is all handmade in British workshops ensureing that each piece is as individual as the wearer. Working and living in the historic coastal town of Leigh on Sea provides much inspiration for Yulan's collections. The influence of both nature and the ocean runs throughout her work using a mixture of anodised aluminium and different qualities of both silver and gold. Over the years Yulan has achieved continuous success as an award winning designer both here and abroad. 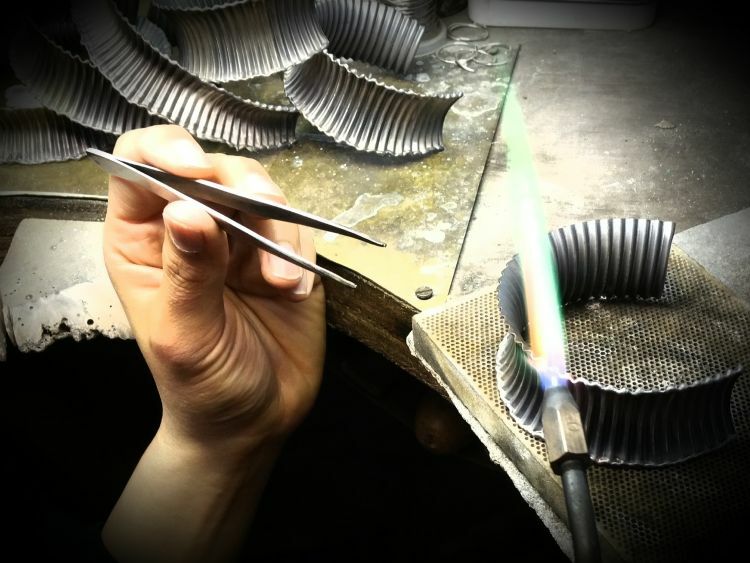 Yulan is proud that her jewellery is individually made in her own British workshops, not only for the excellent lead times this means she can offer but by ensuring the essence of each design is captured in every piece.